Everybody loves personalized gifts. Amazing for birthdays, weddings and of course ideal as a business gift. Beautiful gift which is unique because of it's design. A personalized christmas ornament with name and christmas decoration. Funny mirror toilet sign sticker of a man and woman. Beautiful designed zodiac signs engraved onto mirrors. We can customize the text below the sign as you wish. A personalized mirror customized according to your wishes. 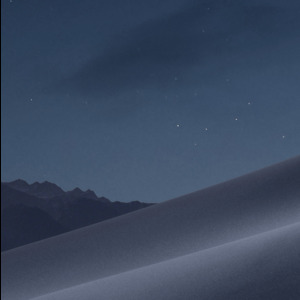 We discuss everything in detail to create the most amazing gift for you or someone you care deeply for. 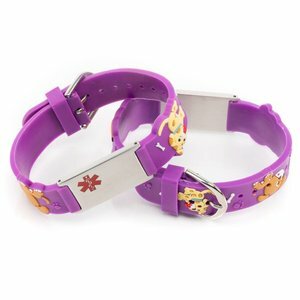 Medical alert bracelet with cute little dogs. 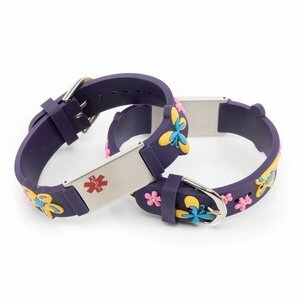 Fun to wear and the bracelet shows all important information for her medical conditions so that first responders can react asap. Medical name bracelet for girls, ideal in case she has: Allergies, asthma, epilepsy, diabetes etc. Her medical info will be right there on the name plate for first responders.